The last album by The Lonely Island was a little disappointing. I don't know, if like a lot of comedy in general, if The Lonely Island is becoming a phase and are running out of ideas, or if it was just an underwhelming effort. There was some good stuff on there but it was not filled to the brim of excellent songs sketches and general comedy like the previous two albums. 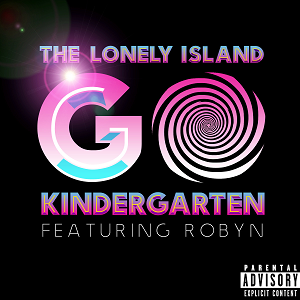 But this is a fine track, and Robyn, in her weird and wonderful self really adds to the greatness of the track. The song just takes the piss out of dance floor music generally, where DJs make their crowds do random things (like "make some noise! scream like a hyena!!" ...maybe a bad example) by saying incredibly odd and silly things. The song itself musically is pretty damn good as well for a hip hop/RnB/dance track. The Lonely Island aren't just funny, they make good music too. If you missed #79 go here.